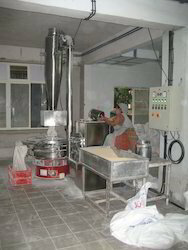 Powder Mixer offered comes designed and developed using latest technology support so as to provide for optimum functional performance as well as operation stability as desired and demanded by the customers. Further, these Powder Mixers come in superior grade stainless steel construction finish so as to provide for optimum functional support and lasting service life. Some of its features include offering better operation stability; superior mechanical transmission for smooth process handling; suitable for use in industry sectors like chemical industry, abrasive, battery materials, building materials and others. 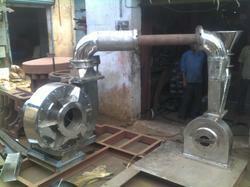 We are one of the leading manufacturer and supplier of Grinding Mill in Mumbai, India. 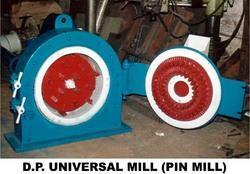 We are one of the leading manufacturer and supplier of Pin Mill Machine in Mumbai, India. 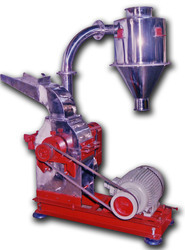 We are one of the leading manufacturer and supplier of Sugar Grinders in Mumbai, India. 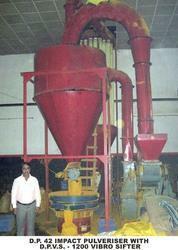 We are one of the leading manufacturer and supplier of Turmeric Powdering Machine in Mumbai, India. Food Colour Grinding Machine offered makes effective use of motion between active and fixed fluted disc to allow superior impact, grind and crushing support for target materials. Further, the system also allows for effective changing of granule size through changing of screen. 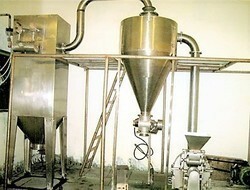 Some of its features include system provides for solid and stable running support; high working efficiency; allows direct discharge of crushed material from grinding chamber of main frame; stainless steel construction finish for reliable and lasting service performance; smooth inside walls for avoiding powder accumulation on inside walls.